Glenn is no stranger to tennis, having been up around the sport pretty much all of his life. His college tennis career started at Chabot College as the #2 Singles player under coach Rick Morris; he then transferred and played for Hawaii Pacific University at #4 -and had always been ranked in the top 3 nationally. In the 90s, Glenn brought his game to a higher level competing on the Open and Satellite Circuit while training at Nick Bollettieri’s IMG Academy in Florida. In recent years, Glenn still plays actively in the 4.5-5.0 USTA league system while coaching at various academies and programs around the bay area and raising a family -yes, full of tennis players. Glenn has completed the USPTA training courses as well as the Sanchez-Casal Academia Spanish Training Certification. Away from Tennis, Glenn runs his company helping businesses navigate better with the use of Technology. He also serves on the Board and helps mentor at many organizations, including: GSV labs, Global Silicon Valley, University of Florida and Elevate USA. 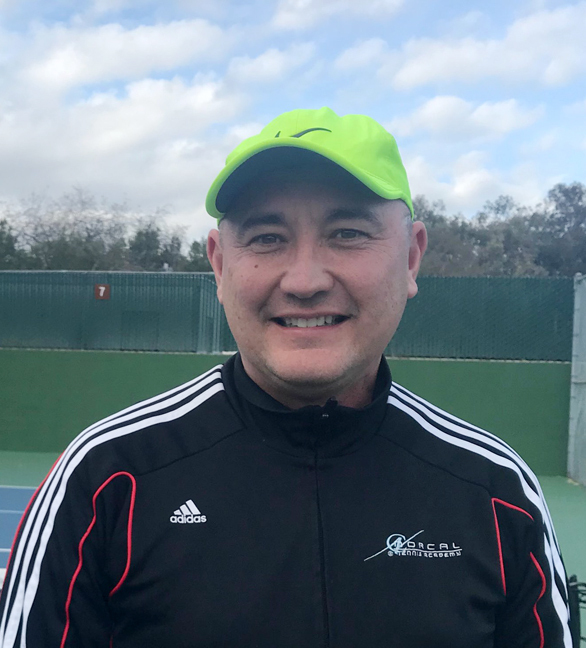 Starting in early 2019, Glenn joins NorCal Tennis Academy bringing with him tremendous experience and knowledge for the game. He has always been a significant figure in the Tennis community and we are so pleased to have him as part of our coaching Team. Together with Glenn, we are excited to be sharing competitive Tennis training and tournaments with the communities surrounding Morgan Hill, California.